Can you believe it's been five years since I started this blog? In that time, I've recapped nearly a decade's worth of ARIA charts, counted down my own favourite songs from every year since 1979 until 2016 and bored everyone to death about one-hit wonders. 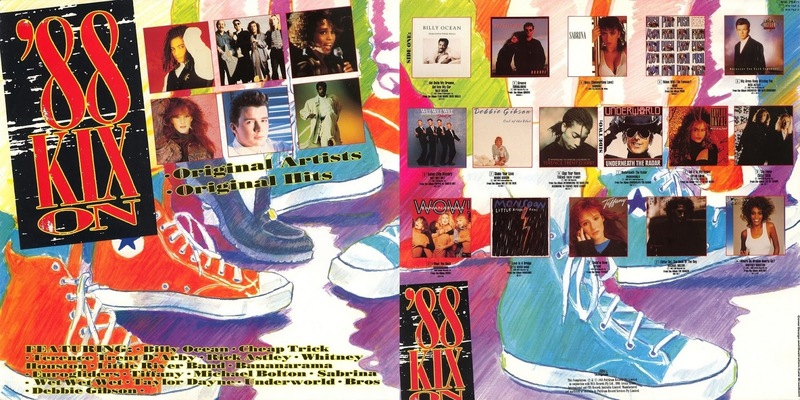 So when I was coming up with something special to do for my anniversary, I thought it might be fun to take a look at a chart staple from the '80s (until they got moved into their own chart exactly 28 years ago): the various artists compilation. Why? It's not like I owned many. As part of my mother's continued efforts to get me to stop buying music, she warned that compilations were a waste of money since there were always lots of songs you didn't like among the two or three you did. But I did always covet them, especially when significantly more than two or three songs I liked all appeared on one album. Well, it's easy to have heaps of hits when you're a double album, now isn't it? I thought about ranking the albums according to their chart performance or how well the songs they contained performed individually, but in the end I've come up with a highly subjective countdown. 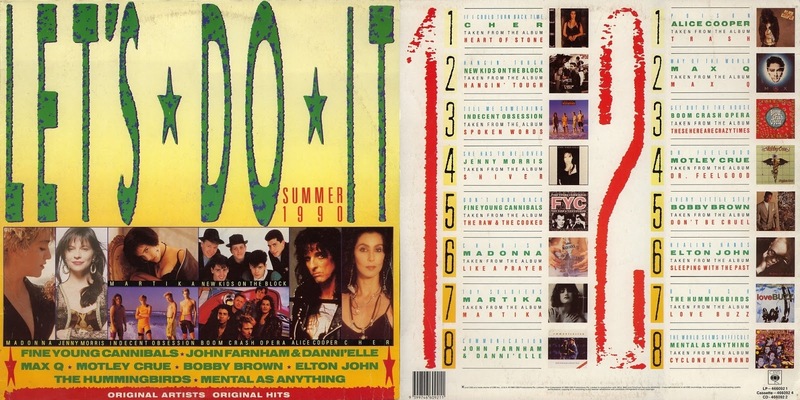 I'm going to rank the top 30 (according to me) various artists compilations released in the '80s by the major record labels (as opposed to dodgy collections from Dino, J&B, etc.). For an album to do well on this list, it has to contain a high proportion of songs I like versus songs I don't like. The more I like the "good" songs, the better it will fare. Obviously, since this blog is subtitled A Journey Through Pop, there's a bias towards albums with a high pop content. Honourable mention must go to Heaps Of Hits '85, which will not appear on this list. It easily has the highest number of songs I like - but then it was a double album, so I've stuck to single albums to be fair. Oh, and I'm only including tracks on the LP versions, not cassette or CD bonus tracks. The earliest album on this list is also the only entry from 1980, a turning point in the history of compilations. 1980... The Music became the first non-soundtrack various artists collection to reach the top 10 since Explosive Hits '75. 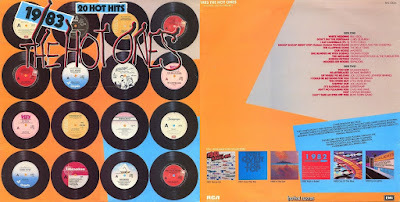 From hereon in, the major labels seemed to take more control of their chart hits instead of just leaving them to K-Tel to package up and the era of chart-hogging compilations was born. Were it not for the glut of dreary ballads as well as the pub rock double of Australian Crawl and Cold Chisel, this would have done better on this list. There are actually quite a few contenders for worst song on this collection - with the tracks by Monte Video And The Cassettes, Thomas Dolby and Chas & Dave all marginally less annoying than the Skyhooks medley. Despite all that dross, there are plenty of great tunes from the summer of '82-'83 here - thank goodness for the 20-song tracklisting. Typically, for this era, it's the British stuff that's the best - hits by Billy Idol, Madness, Kajagoogoo and Joe Jackson. It's a testament to how competitive a list this is when an album that features 1983 megastars Michael Jackson, Billy Joel, Culture Club and Elton John, and a track from Flashdance is this low - but blame it on the second half of Side Two, with four songs I'm not a fan of (Jon English, Cold Chisel, Austen Tayshus and The Blues Brothers). I've also never been that keen on the Malcolm McLaren, UB40 and Paul Young songs. I really thought this would be higher, but that's what happens when you choose Paul Simon over Wa Wa Nee, whose "Sugar Free" was relegated to the CD version (which I own) despite being a top 10 hit. I also don't love the inclusions from Boris Gardiner, The Style Council or Michael Hutchence. But from Kim Wilde to Dead Or Alive, Berlin to New Order, Europe to Bon Jovi, Cameo to Gregory Abbott and, of course, the George and Aretha duet, there's plenty of gold. 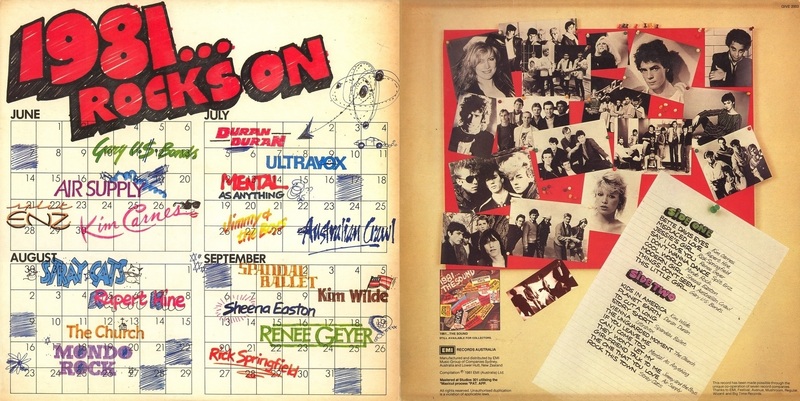 As with 1980, we only have one entry from the final year of the decade - there were some awful compilations in 1989! Featuring a rare post-1985 licensing of a Madonna song, Let's Do It... Summer 1990 boasted a pretty strong tracklisting overall. Mötley Crüe aside, I liked the rock inclusions from Alice Cooper, Boom Crash Opera and The Hummingbirds, but could live without "Hangin' Tough", "The World Seems Difficult" and "Communication". Just look at those first four songs on Side Two - the best the Brits had to offer in 1981. 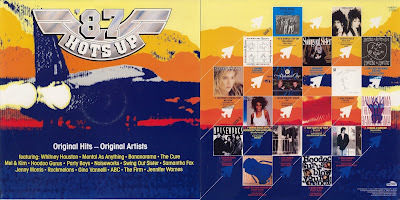 Points also for tracks by Rupert Hines, Rick Springfield, Mondo Rock and The Church. Bizarrely for me, I'm not into the Split Enz track, but I don't mind the Australian Crawl one. The real highlight of this collection from late 1983 is the presence of one-hit wonders Men Without Hats, Taco, Freeez, F.R. David and JoBoxers. They're exactly the types of songs you want on a compilation - who wanted to shell out for a full album by any of them? I have a bit of a soft spot for this album since we had it on cassette in my house - a rarity! I was only six at the time, but I have pretty strong memories of many of these songs, like "Queen Of Hearts", "Louise (We Get It Right)" and, of course, "Physical". Even though there aren't many duds at all on here, the songs by most of the local acts are ones I like but don't love - and so it doesn't rank as high as it could. 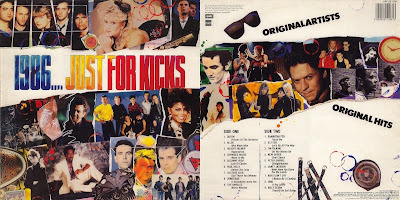 Although it features what is possibly the worst ever start to a compilation, thanks to the disastrous Side One opening trio of Queen, AC/DC and Robert Palmer, the rest of 1986... Just For Kicks more than makes up for it, especially the flawless Side Two. And you know, I don't actually mind that Joe Cocker song - it's just the worst of a pretty decent bunch. A bunch that includes Rick Astley's mega-hit, some of my favourite songs from the tail end of 1987 by Communards, Tiffany, Cher, Dragon, Bananarama and Foreigner, and The Bangles' early-'88 soundtrack smash. I even like the David Lee Roth song. Worst song: I'm torn between "Star Trekkin'" by The Firm (which I kind of liked as a 12-year-old but despise now) and "First We Take Manhattan" by Jennifer Warnes (which has always bored me). Whitney. Swing Out Sister. The Cure. Three Stock Aitken Waterman tracks. Rockmelons. Noiseworks. Jenny Morris. ABC. This is why 1987 was such a great year for music. I even like the Gino Vannelli song. Pop bands didn't get much bigger in early 1985 than Duran Duran, Eurythmics and Frankie Goes To Hollywood - and all three are present and accounted for here. 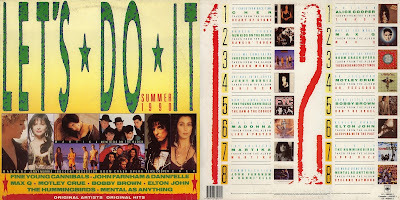 Throw in some of the biggest female singers in the world (Pat Benatar, Sheena Easton, a resurgent Tina Turner) and a smattering of local talent (Models and The Radiators' best song), and you have a well-rounded release. 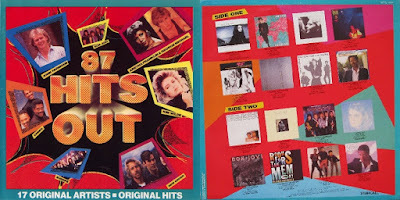 There were no chart-topping singles, but no less than five number 2 hits on this pretty unobjectionable compilation from later in 1985. I don't even mind "Walk Of Life", which was here thanks to its appearance as the double A-side of "So Far Away" and would show up again on an album we'll see in Part 2 once it had been a single in its own right. 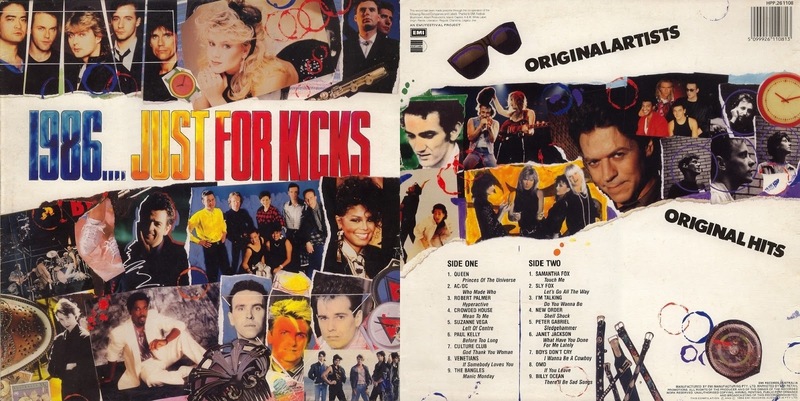 It's a bit of an odd name for a compilation that features new wave (The Human League, Simple Minds, The Waitresses, Eurogliders and ABC), funk (Prince! ), cheesy ballads (Bertie Higgins and Charlene) and the solo debut of Adam Ant, but whatever. 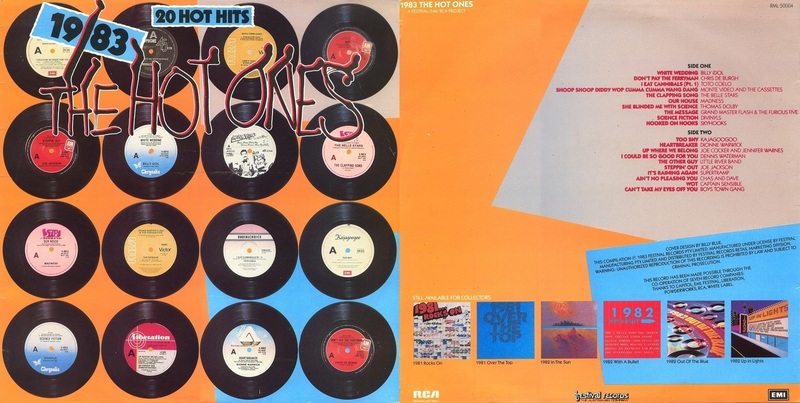 And what rock was included was of the good variety - Mondo Rock, John Cougar, Tommy Tutone... even the Cold Chisel song wasn't my least favourite track on the album. An excellent collection from my favourite year for music is only marred by the presence of MOR tracks by Cheap Trick, Little River Band and Michael Bolton (I'll let Whitney slide). Otherwise, it's wall-to-wall pop with teen queens Debbie Gibson and Tiffany, dance-pop chanteuses Taylor Dayne and Sabrina, some SAW courtesy of Bananarama and Rick Astley (thankfully "My Arms Keep Missing You" and not "When I Fall In Love"), and A-grade tracks from a diverse array of groups: Underworld. Bros, Wet Wet Wet and Eurogliders. If you can't read any of the tracklistings, links are provided in the album titles. Cover art has come from all over the web, but especially the excellent Australian Compilation LPs site. In Part 2: the 15 best compilations of the '80s, including our first entry from 1984 and a pretty tight top 3. 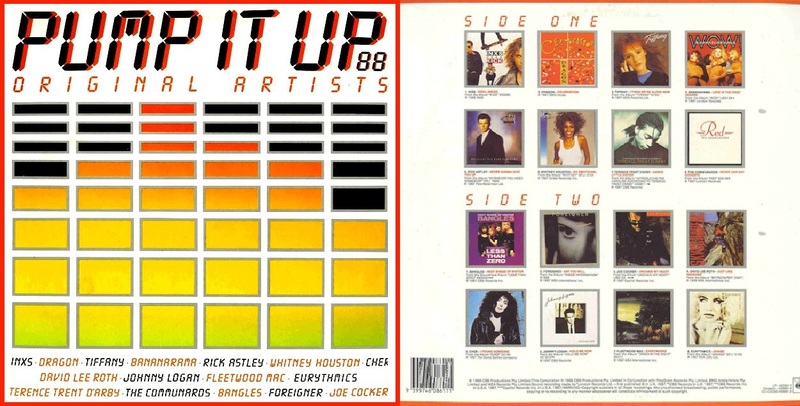 An interesting look at '80s compilations! I liked how the compilers used to put the year in the title, and made up all sorts of random names for them – that all disappeared once the 100% Hits series took hold. I've been on a compilations kick lately, picking up various artists CDs from 1989 to 1995 from eBay and op shops. Since February I've collected 16 so far! Oh and happy 5th blog-anniversary Gavin. Always a fun read, and it shares its birthday with me. Yeah! Excellent idea for an anniversary post Gavin, and well done. I own everything from Summer'87 onwards on CD, and had all the previous ones on vinyl or cassette at some stage. I pretty much love 90% of the tracklistings on all of them. I like rock and MOR more than you do, but I can't abide novelty songs. 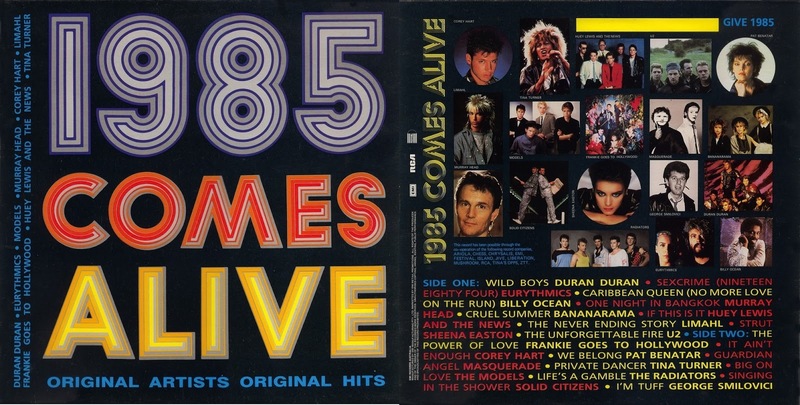 1985 Comes Alive is my favourite out of this lot. Greatest blog on the internet! Congrats on 5 years man! 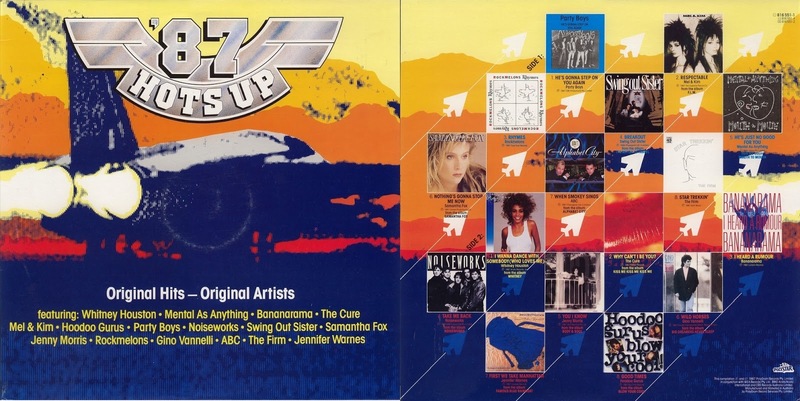 '87 Hots Up was the first compilation I bought, on cassette. It was also where I discovered the existence of Stock/Aitken/Waterman, after noticing that 3 tracks (Mel & Kim, Bananarama, Samantha Fox) were written and produced by them. I wanted it mainly for the Mel & Kim and The Firm (yes, really) tracks. In more recent years, mostly through trades with other people, I've appreciated the VHS compilations that sometimes accompanied these releases - although I think this only ever happened for one of the two (near) simultaneously-released compilations, with the EMI/Festival/(later Polygram too) compilation being more-prolific with a VHS release up until 'Hits of 1990 Volume 3', and then the CBS/BMG/(initially) Polygram/Warner compilation taking the reigns from 'Take 40 Australia #1'. I never bought one of the VHS compilations at the time though, oddly. I didn’t really like when they reverted to boring ‘100% Hits’ and ‘Hit Machine’ volume names. The last one I bought was ‘Hit Machine 6’, though I received volumes 7 and 8 as gifts. One thing I never liked was when the final compilation of the year was named after the coming year, so e.g. ‘Hits of 1990 Volume 1’ contains mostly tracks that were old and dropping/had fallen out of the chart by the time 1990 actually began. Sometimes it was fascinating to see the depths the companies had to scour to fill up the 18 track quota. 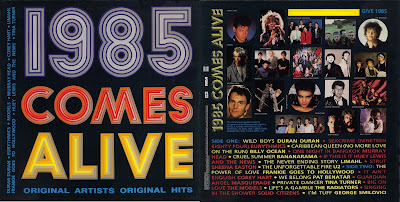 There were several songs on 1989 Be Happy, for example, that I hadn’t heard until buying it (Pat Benatar’s ‘Don’t Walk Away’, Sam Brown’s ‘Stop’, Keith Richards’ ‘Take It So Hard’, James Reyne’s ‘Always the Way’ among them). 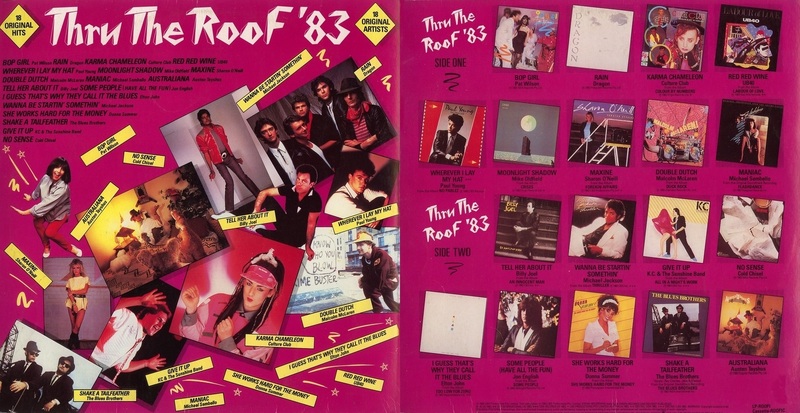 1981 Over The Top was my first introduction to music at the age of seven, so it's nice to see that compilation get some attention here. 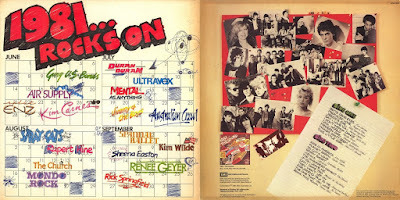 From there it was Hit Wave '82, 1982 With A Bullet...until I stopped in March 1986 with around 20+ compilations. After then I only bought albums by singular artists as opposed to these compilations because I didn't regard them as highly. I still have them all and treasure them in my own little way. Looking forward to Part 2...and great job on Part 1. I cant agree with your choice for the best compilation album of the 1980's. Youve left out 1985 On Fire. Most of the songs on the album made the top 10, with only one dud track by Beargarden. It almost made the cut. But the songs by Paul Hardcastle, Uncanny X-Men, Beargarden, Australian Crawl and China Crisis let it down. I've also never been that fond of those Do-Re-Mi and Machinations tracks. Thank you for this mighty interesting. I have always been fascinated by these compilation LP's and later CD's from the era and have all of them from 1980 until 1991. Each album just brings back memories from back in the day - where one would study these albums and their excellent tracks. 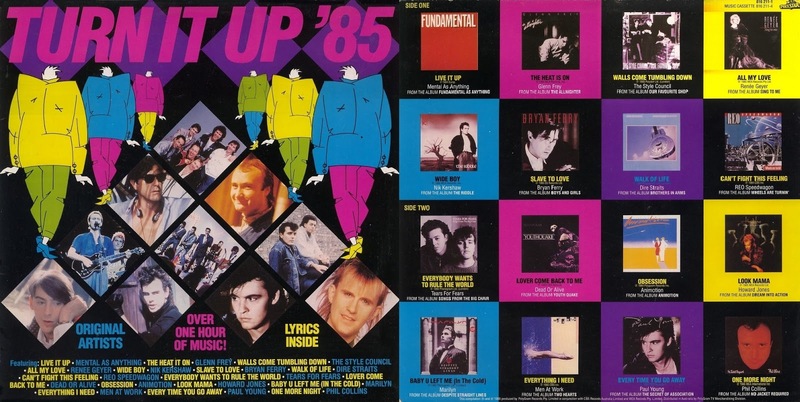 IMO, the best were 1986 Out Now, 1981 Rocks On, 1982 With A Bullet, Choose 1985 & Summer '87. The first album I ever bought was Full Boar with the pig on the front cover with headphones and sunnies - plus a poster of the same! (which was a K-Tel comp.) - But as mentioned in this article, from 1980 when the record companies combined to come up with complilation albums the quality of sound and track listings improved somewhat. 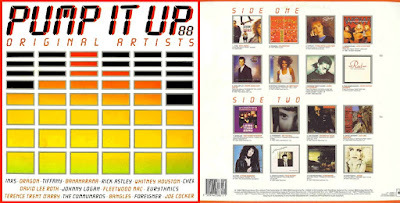 BTW - anyone got 1987 Into the Groove or '87 Right on Track on CD - these CD's are worth hundreds nowadays!